Look what greeted me when I got home today! Our first berries of late summer. The raspberries have been coming in rather sparsely this year because we (and when I say we, I mean my wonderful husband) reworked the beds where they were planted. 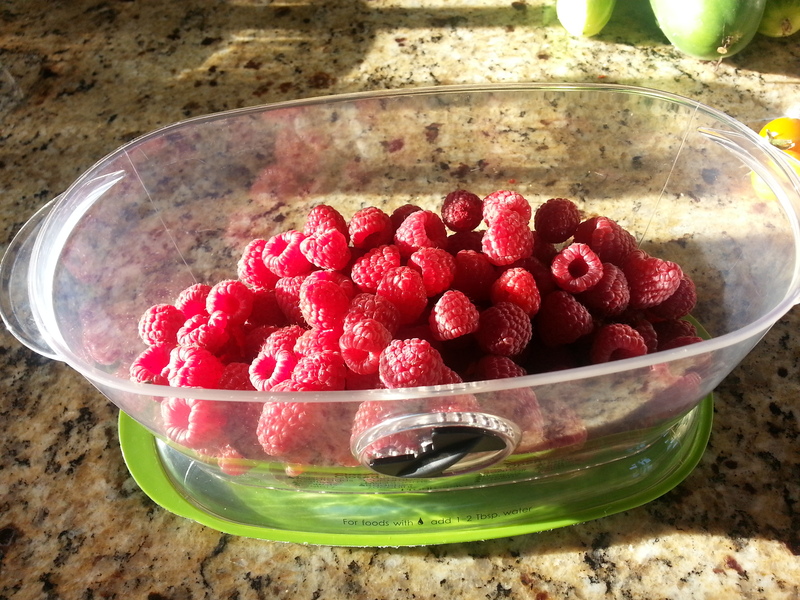 Raspberries spread. We started out with only about 12 -15 plants about four years ago. When my hubby dug them up at the beginning of the planting season this year, we gave away probably close to forty plants. Our neighbors have some and I gave some to a good friend at school. 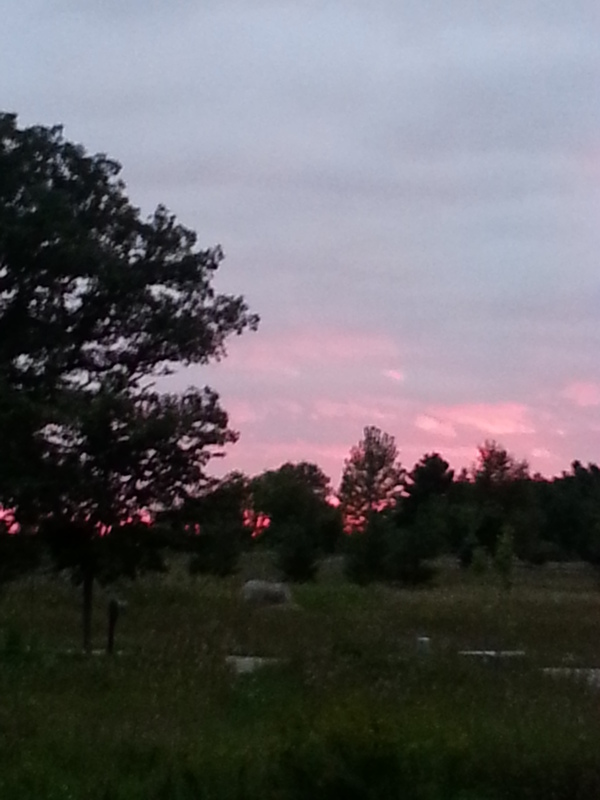 The sky several days ago must have been foretelling the raspberries with these colored clouds. That was during the cool snap we had, but next week, just in time for school to start, the weather is supposed to turn hot again, raspberry weather and late season tomatoes and beans. I’ll be picking and eating and freezing what we can’t eat. Raspberries are a sure sign of the end of summer here in Wisconsin, but just around the corner are crisp weather and delicious Honeycrisp apples! 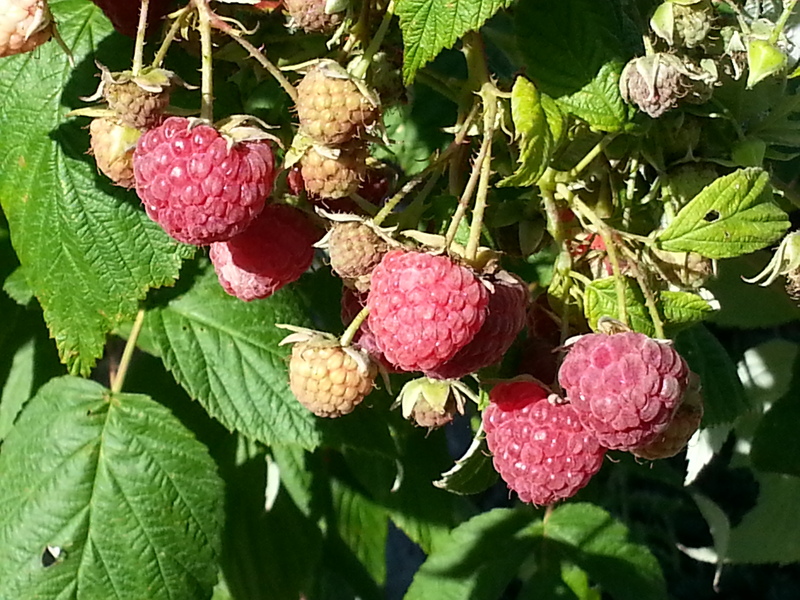 For now, I’ll savor the end of summer and the sweet flavor of raspberries!